When attempts to solve a problem are hitting the wall of diminishing returns, it is a clear symptom that the approach being used to attack the problem needs to change. To go faster by merely changing the direction of the sail is not enough, we need to change the sail. The tool needed is Breakthrough Innovation, which fundamentally challenges the approach. The Fragrance division at IFF (International Flavours & Fragrances) was focused on Increasing the strike rate with client briefs. This organisation was essentially a B2B (Business to Business) organisation, they supplied fragrances to product manufacturers for shampoos, soaps, etc. Every time any company wants to insert or even change the fragrance, it sends out a brief to fragrance suppliers and asks for a bid. Increasing success rate of winning these briefs was critical to growth. At that point in time, the fragrance division was losing more briefs than it won. In fact, they were winning only 1 out of every 6 briefs, and yet, when they collected annual customer feedback, there seemed to be nothing to be concerned about as all customers said they were satisfied with the relationship. For the Fragrance Leadership team, it was evident that efforts were hitting the wall of diminishing returns, it was clear that doing more of the same was just not enough. Applying ‘Orbit-Shifting Innovation’ created a Breakthrough in the customer engagement model — to go beyond merely supplying to the client’s brief and create fragrances that will differentiate the client with their end user — the consumer. This led to a Breakthrough idea. Take the clients brief but come back to him with not one but two submissions: The first submission to exactly meet the clients brief and the second submission to meet the clients consumer’s need. To achieve the second submission the IFF team initiated a process of getting first-hand market insights and designing a fragrance to meet end consumer needs — their second submission was now rooted in first-hand consumer insight. This shift, when executed, led to more than doubling the client strike rate and fuelled an exponential growth in the next 6 years that went beyond their 10X aspiration. 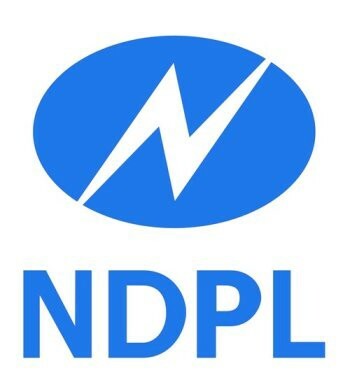 New Delhi Power Ltd (NDPL) had set about trying to reduce — Aggregate, Technical and Commercial (ATC) losses. ATC losses can be as high as 70 per cent. The team quickly managed to bring down ATC losses from 70 per cent to 55 per cent. This was, as the team leader said, “Low hanging fruit, just efficient administration was enough”. But the real challenge was in reducing the loss below 55 per cent. Now every next per cent was tough. They were hitting the wall of diminishing returns. Then, they were asked an orbit-shift question, ‘What is the theoretical best? Don’t look at existing benchmarks, just define the theoretical best. The theoretical best was 7 per cent.’ The final orbit-shifting challenge surfaced from shifting the reference point from the BEST IN THE WORLD to THE THEORETICAL BEST. Chasing the Theoretical Best forced the team to suspend judgment and look for fundamental Breakthroughs and not just solutions as good as the best in the world. The Breakthroughs that followed have brought down the ATC losses to 13–14 per cent, beating the global best.